Vietnamese Deputy Prime Minister Pham Binh Minh has commenced his official visit to Singapore to cement the two countries’ ties, before attending an ASEAN ministerial summit next month. Deputy PM Minh, who is also Minister of Foreign Affairs, arrived at Changi International Airport on Monday evening to start his two-day visit at the invitation of Singaporean Foreign Minister Vivian Balakrishnan. According to the agenda, Deputy PM Minh was schedule to join talks with Minister Balakrishnan on Tuesday morning, before witnessing the signing of several MoUs between the two governments. The Vietnamese deputy premier will also meet with Singaporean President Halimah Yacob and Prime Minister Lee Hsien Loong on the same day. The meetings look to discuss measures to implement agreements reached during Prime Minister Nguyen Xuan Phuc’s visit to Singapore in April, accelerate bilateral cooperation, and promote collaboration between the two countries in the ASEAN framework as well as on regional and international issues of mutual interests. ASEAN is short for the Association of Southeast Asian Nations, which is a political and economic organization whose members include Brunei, Cambodia, Indonesia, Laos, Malaysia, Myanmar, the Philippines, Singapore, Thailand, and Vietnam. 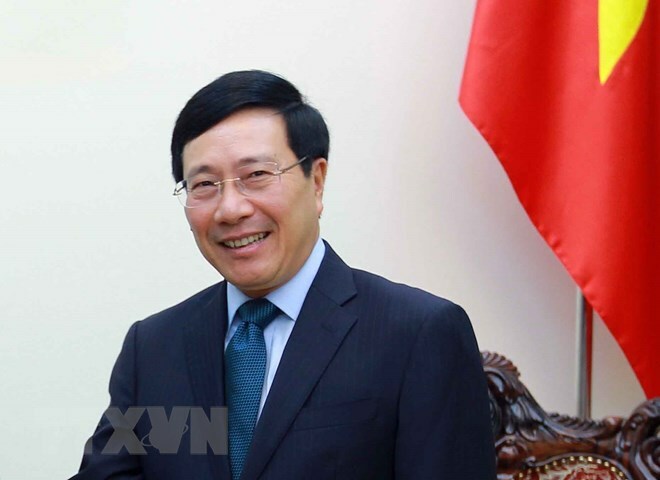 Following the official visit, Deputy PM Minh will participate in the 51st ASEAN Foreign Ministers’ Meeting (AMM 51) and related meetings in Singapore from August 1 to 4. Since 1967, foreign ministers of ASEAN member nations have met annually to discuss regional issues and issued a joint statement after their gatherings.